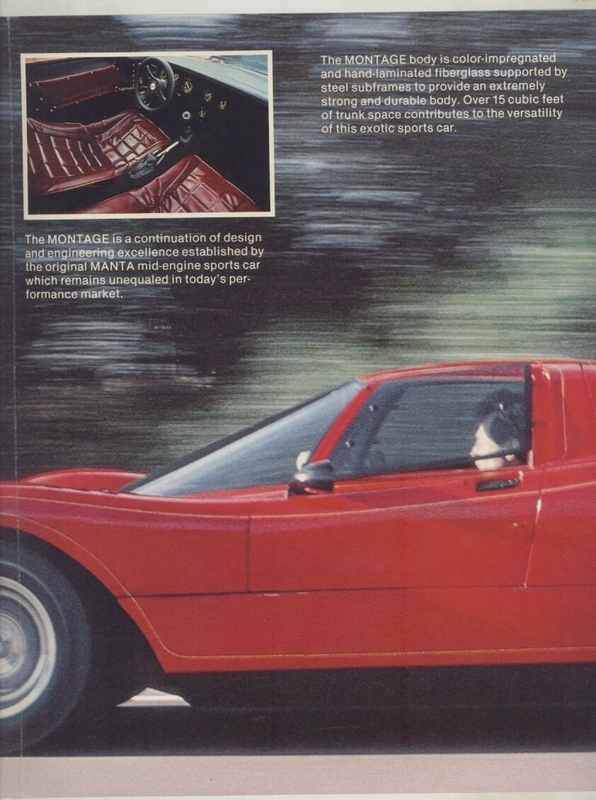 As usual, the story behind the car is more interesting than the dodgy ’80s scripts. 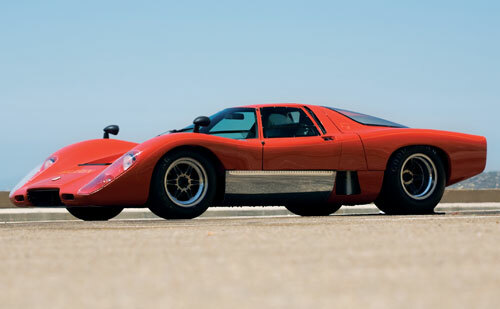 The car started off as a Manta Montage, itself a copy of the McLaren M6GT but based on a VW Beetle floorpan. 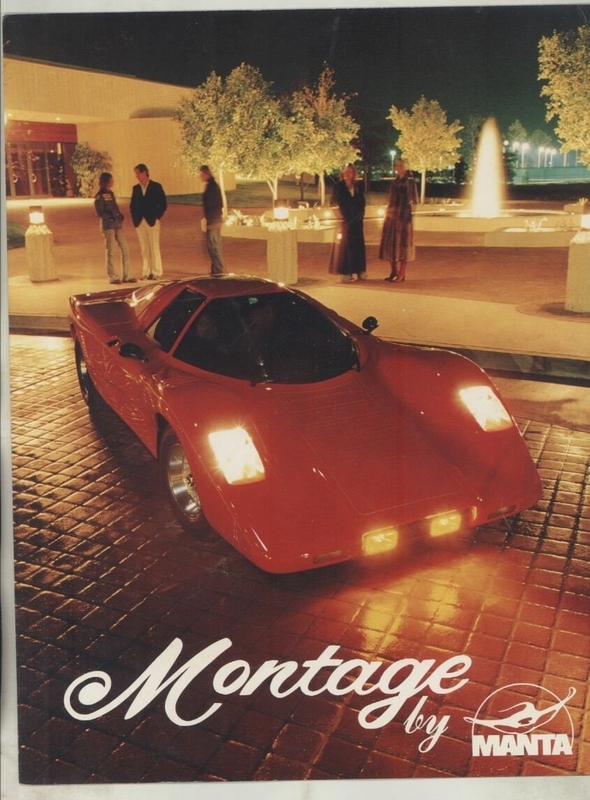 Below is the brochure, what a world of elegant sophistication! In the early shows there are a few shots of the interior and the VW gearstick and pedals are very obvious. However in later programmes and the title sequence the interior is shown with a chromed gate for the short gearstick and beautiful dials with a very un-Volkswagen red line high up the revcounter. These were shot on a Ferrari and substituted in the edit room to make the car look more impressive. 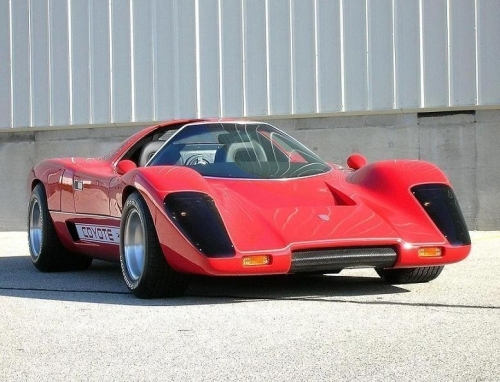 The engine noise was dubbed on and is the same sound effect as used on the black Lamborghini Countach from Cannonball Run (you’ll remember the female drivers if not the car). 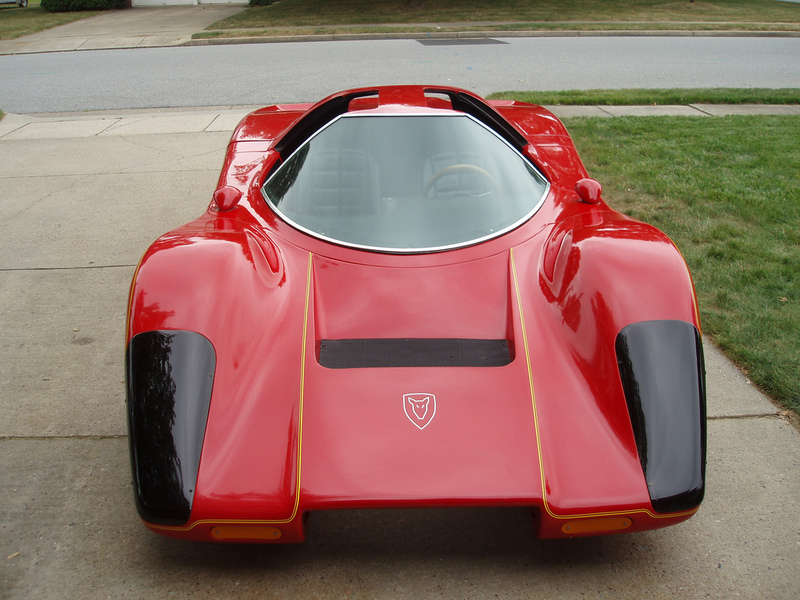 There was also a stunt car which used a spaceframe chassis around its strong roll cage, the VW suspension was toughened up as per so many dune buggies and the bodyshell was made in sections so damaged parts could be quickly replaced. It may seem crude now, but it’s one giant stage better than the Dukes of Hazzard that destroyed a complete car on every jump, with the Coyote it was strong enough to complete a jump and drive away for the next scene. For series 2 and 3 the Coyote was changed but they tried to make it look similar, a bit like if Bodie and Doyle had stopped driving Capris and started using Morris Marinas with the word “Capri” painted down the side. The reason for the change was that Brian Keith who played Judge Hardcastle had difficulty climbing in through the window of the original car so another was built around a DeLorean. 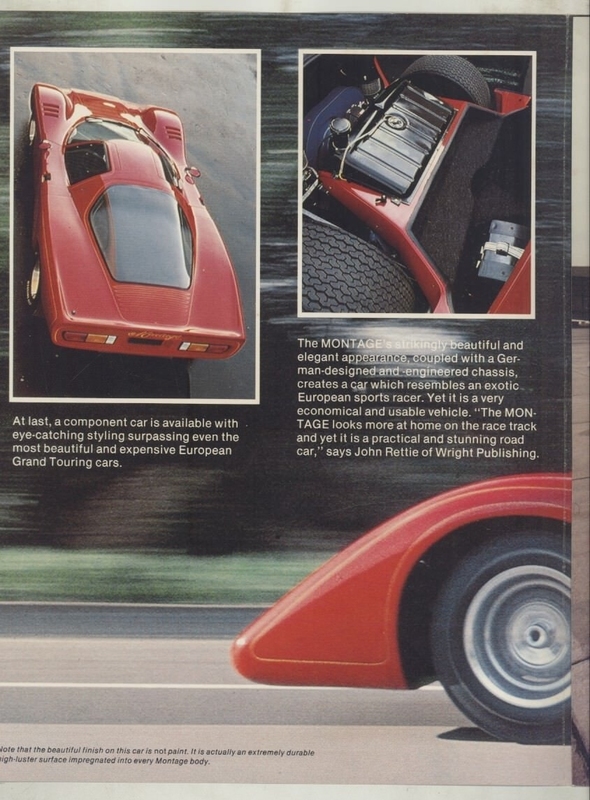 The gullwing doors solved the problem of access but the smooth McLaren shape just didn’t fit over the DeLorean’s boxy proportions and the whole car went from looking like a kid’s dream to a nightmare. Thankfully my 1:32 model is from Series 1 and has the original, flowing good looks. It’s also incredibly low and quite wide so possibly it will be popular with racers which makes a change for my stuff. Video link. 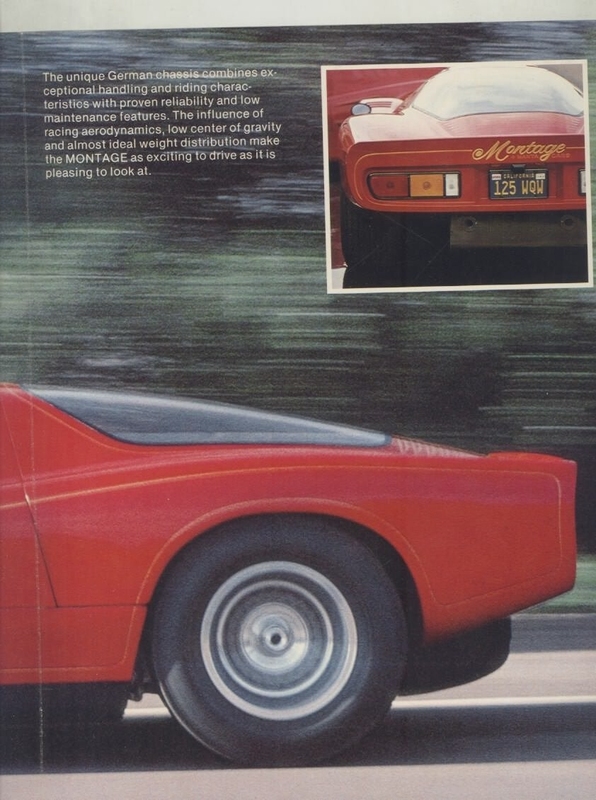 You might want to stock up on the Dodge Monacos to recreate this.